Lactose and galactose are both carbohydrates -- more specifically, they're sugars. Galactose is actually a chemical component of lactose, and lactose is milk sugar that you take in whenever you consume dairy. Your digestive tract breaks down lactose into its components, including galactose, and you use these to provide energy to your cells. Galactose is a monosaccharide, meaning single sugar unit, with the chemical formula C6H12O6. This chemical composition is identical to that of the more common monosaccharide glucose, and though glucose and galactose don't have identical chemical structures, they're quite similar. Like glucose, galactose has a sweet taste, and you can use it to provide your cells with energy by burning it metabolically. Lactose is a disaccharide, meaning it's made up of two smaller monosaccharide units. Specifically, lactose consists of a glucose chemically bonded to a galactose, giving it the overall chemical formula C12H22O11. There are two hydrogen atoms and two oxygen atoms missing in the formula of lactose relative to the additive formulas of glucose and galactose; this is because when glucose bonds to galactose, the molecules lose a unit of water, with the formula H2O. When you consume lactose, you break it down into glucose and galactose. Both lactose and galactose are sources of energy for your cells. You can absorb galactose directly, without having to digest it, because your digestive tract can take up monosaccharides. You have to digest lactose into glucose and galactose using the digestive enzyme lactase before you can absorb the monosaccharide units. Once in the bloodstream, glucose and galactose then enter the cells, where they're burned through very similar processes to yield energy, or they are stored in the form of the carbohydrate glycogen or as body fat. Some individuals are lactose intolerant, meaning they don't produce lactase enzyme. These individuals experience bloating and cramping upon consumption of lactose. Lactose-free milks and other dairy products are pretreated with lactase, which breaks lactose in the dairy into glucose and galactose. Even if you're lactose intolerant, you can absorb and use glucose and galactose without any trouble. 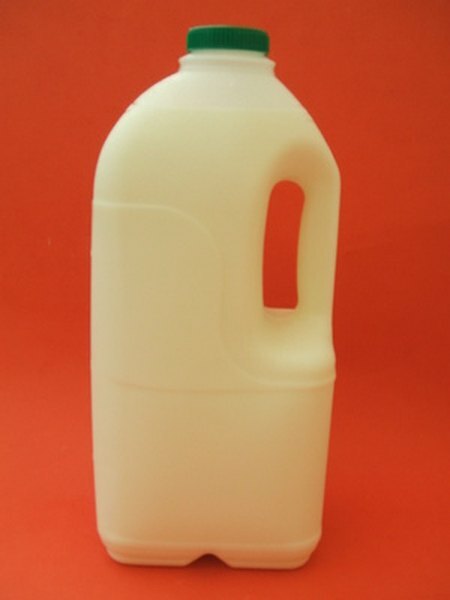 Lactose-free milk is somewhat sweeter than regular milk as a result of the lactose breakdown.